Making an investment in Australia could be one of the best moves of the year if one is looking to invest in an overseas market. One might also consider an investment in its currency as well. Contrary to earlier expectations Australia’s jobs market has rebounded. The faster growth is a sign that the country is defying the slowdown of its main trading partner which is China. Australian employers added 85,500 full time jobs in February the most since the recession period of 1991. The Reserve Bank of Australia has been credited by some analysts as being successful in its attempt to move the economy forward following the slowdown in the mining investment boom. This sector has cooled as demand by China slows along with its economy. The central bank cut borrowing costs by 2.25 percentage points from 2011 to 2013. This in turn created a greater demand in the housing market and service industries as the primary economic engines. It is true that Australia has prospered with exports to China tripling in the last five years. However, 50% of those exports last year and in 2012 were from iron ore alone. Australians are confident that exports to China will increasingly diversify so the over dependence in this market on mining will decline over time. Economic forecasts for 2014 range from 2.25% to 3.25% up from 2% to 3% made late last year. Growth predictions for 2015 and 2016 are even higher at this time. Australia’s rate of economic growth has averaged 3.6% over the past 15 years where other advanced economies only grew on average 2.5%. This was in spite of a number of its major trading partners experiencing periods of stagnant growth and recessions during this time period. 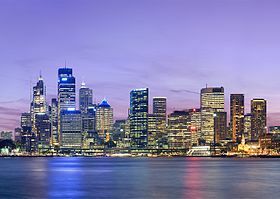 Australia was the only advanced economy that did not go through a recession as a result of the 2008 – 2009 financial chaos experienced in the Western world. Australia has had 26 years of continuous growth which is quite exceptional. Inflation is expected to peak at 3% in the second quarter of 2014. The Reserve Bank is anticipating a period of stability in interest rates. Especially since the state and federal governments are continuing restraint in spending. The inflation rate has been in the 2% to 3% range for the past decade. 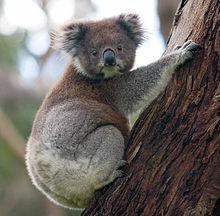 The lower value for the Australian dollar is expected to help boost exports and reduce imports. I predict that the currency will begin to appreciate in response to the relative health of the Australian economy overall. It will be further strengthened by the coming rise in a number of commodities. Another important factor is that in the last 5 years Australians are saving much more and spending less (there has been a recent reversal of this but it may only be temporary). This will reduce household debt which has reached some of the highest in the world in recent years. It will also strengthen the currency as well as keeping inflation lower overall. 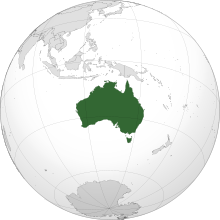 The country and continent of Australia encompasses an area of 7,692,024 km2 (2,969,907 sq mi) making it the 6th largest nation in the world. The population as of 2014 is estimated to be 23,425,038 making it the 52nd most populated nation in the world. Over 80 % of the people are of European ancestry with ¾ of Australians living in urban and coastal areas. The nominal Gross Domestic Product (GDP) in 2013 was 1.525 USD (United States Dollar) trillion the 12th largest economy in the world. Per capita GDP was estimated to be $67,722 (USD) giving the nation the 5th ranking in the world overall. Total government debt stood at $190 billion USD which was 20% of the GDP in 2010 from a low of 9.7% in 2008. In 2012 it peaked at 22.9% declining to 20.7% in 2013. This relative low rate of debt has allowed Australia to maintain its AAA credit rating and has given the government some flexibility in managing government debt overall. In comparison the rate in the United States is over 80% and in a number of European countries over 100%. The national budget had been in balance and even had a small surplus to 2008. Then came deficits in relation to GDP of -2.2%, -4.3%, -4.1% and -3% for the years 2009, 2010, 2011, and 2012 respectively. It must be noted that the present government has pledged to bring spending back under control. A comparison with the United States would be -6.8% in the year 2012 as a percentage of GDP. Of importance to foreign investors in 2010 the Index For Economic Freedom ranked Australia third in the world. Rich in natural resources Australia is a major exporter of agricultural products particularly wheat and wool. 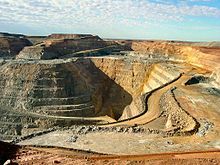 Mineral exports include iron ore and gold as the top 2 commodities. In energy it is coal and liquefied natural gas (LNG). Although agriculture and natural resources account for 3% and 5% of GDP respectively, it is these two areas that account for a big share of Australian exports. Australia for example is the world’s 4th largest exporter of wine in the world. The industry contributes $5.5 billion per year to the economy. Australia’s largest export markets are in New Zealand, Japan, The United States, China, and South Korea. As of 2012 the value of imports to Australia was estimated to be $239.7 billion USD and exports were valued at $263.9 billion USD. Most of its imports consist of machine and equipment in transport, office and telecommunications as well as oil and petroleum products. Australia reached a 29 month high in its trade surplus as of January 2014. Seventy percent of the GDP is derived from the service end of the economy which includes tourism, financial services and education. A major advantage for Australia is the stable government that along with the English language is a legacy of the British control of the country before independence. There is a commitment to a free and open society and most importantly for investors a market oriented free enterprise economy. Its cities are often cited as some of the most pleasant places to live in the world. The present government has plans to reduce regulations even further and modify taxes to help smooth the transition in the economy away from resource investment and toward growth in the non- mining sectors. The geographical location and a number of treaties make the nation relatively secure from foreign threats and invasion. The above factors seem to indicate that Australia is and will remain a good place to invest.